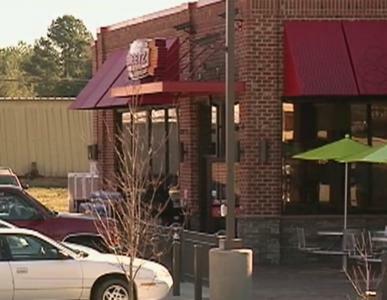 LOUISA COUNTY, VA (NEWSPLEX) — A new Sheetz opened on Thursday in the Town of Louisa. The gas station that also serves food made-to-order is located on the corner of Courthouse Road and Main Street.Sheetz, which is open 24 hours a day, seven days a week, replaced an old drive-through convenience store and gas station. “It’s going to be on and popping in Louisa,” said Louisa resident Thomas Mason. “With free Wi-Fi, you know everybody is going to be here.” Mason has been waiting for this day for a long time. “I’ve been driving by seeing how far the building is coming, and then when they put the pumps up, it was like finally! Now that it’s open, it’s reality and I’m loving it,” he said. The building opened a few months late because of construction issues. The opening event was well attended, including Emily Sheetz, director of talent development.